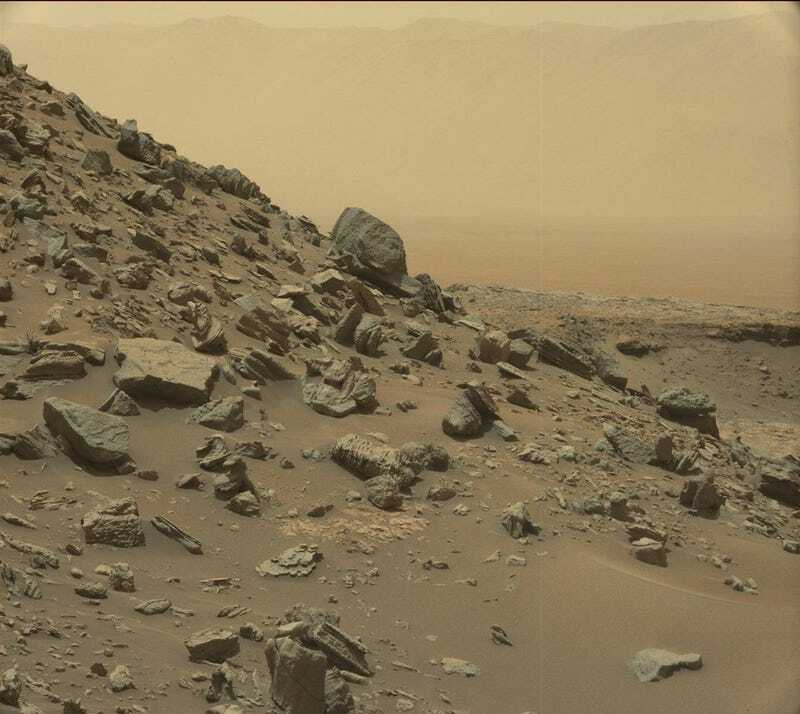 NASA’s Curiosity rover is currently exploring the “Murray Buttes” region of lower Mount Sharp, where it captured these beautiful color images of eroded rock formations. 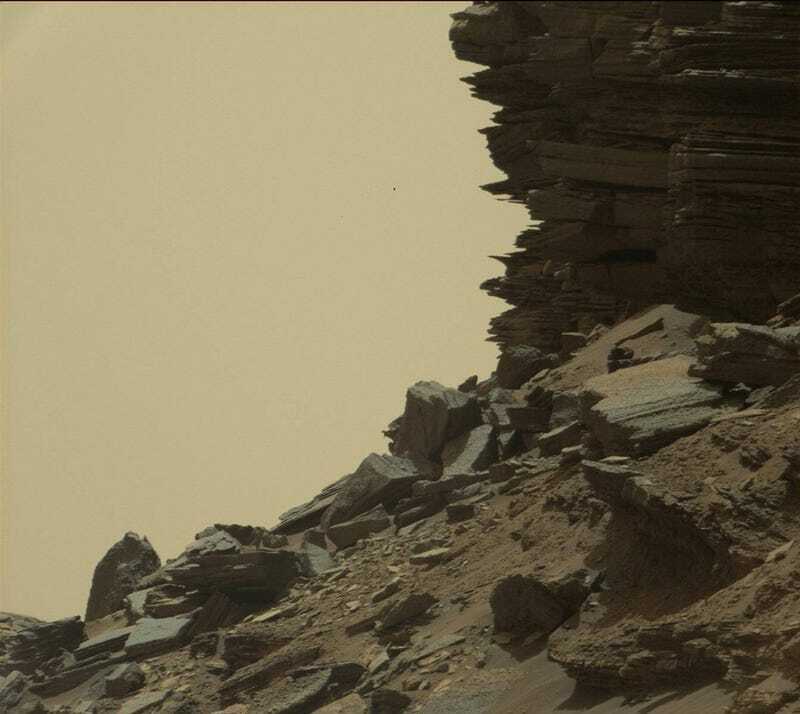 The pictures are so crisp and detailed, it’s as if we’re right there on the Martian surface. 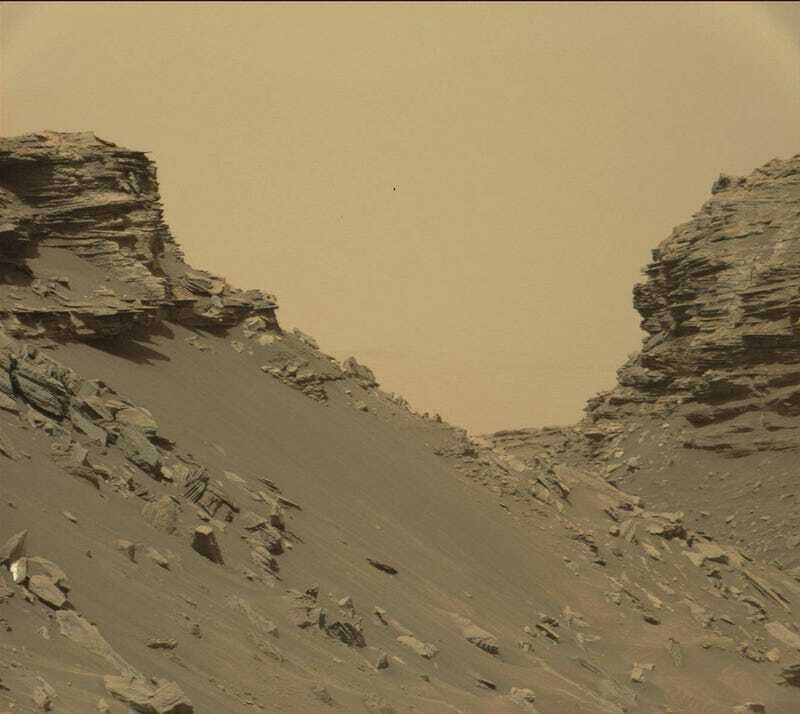 Curiosity captured these images using its Mastcam on Thursday, September 8. 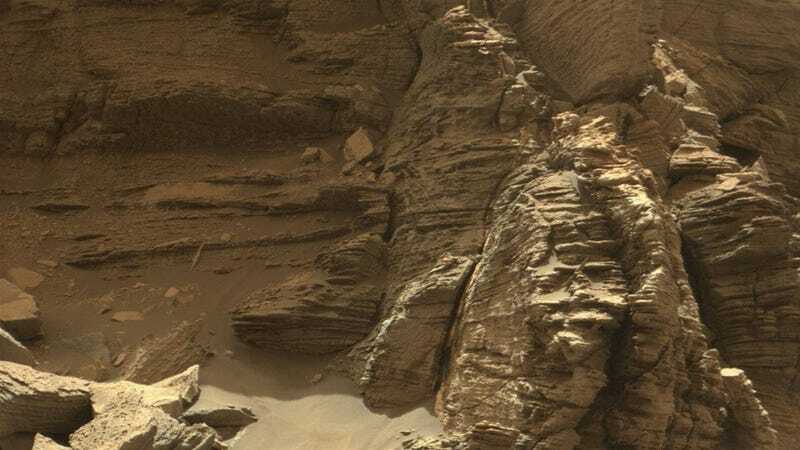 The images reveal Martian buttes and mesas—the eroded remnants of ancient sandstone that first formed when winds deposited sand after Mount Sharp had formed. The layering within the sandstone is referred to as “cross-bedding,” and it’s a sign that the sandstone was deposited by wind as migrating sand dunes. Mars features an incredibly active and dynamic surface, one that’s still undergoing changes. 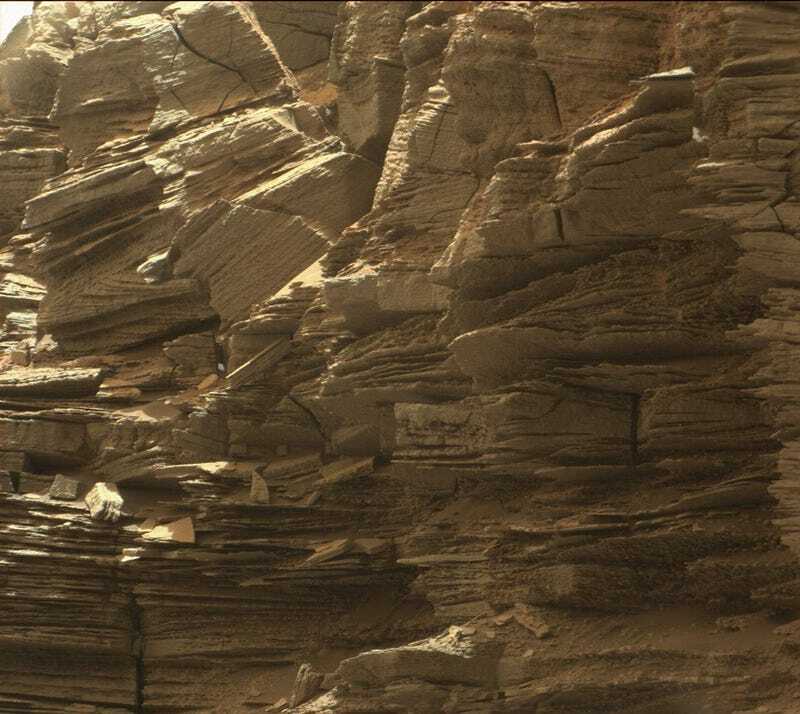 “Studying these buttes up close has given us a better understanding of ancient sand dunes that formed and were buried, chemically changed by groundwater, exhumed and eroded to form the landscape that we see today,” noted Curiosity project scientist Ashwin Vasavada in a statement. NASA plans to take some of the images snapped at the site to create several large color mosaics, which we’re seriously looking forward to. 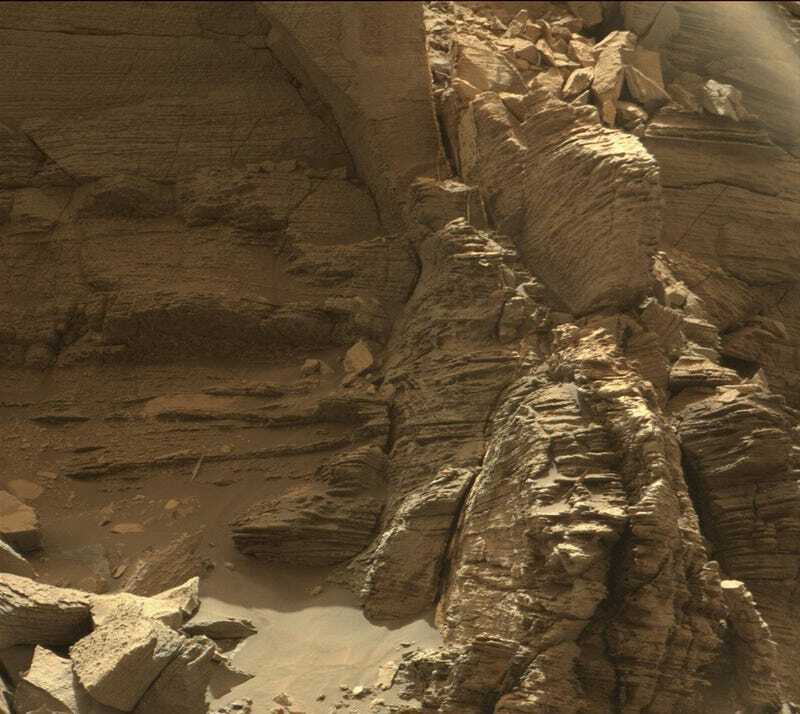 These new images represent Curiosity’s last stop at the Murray Buttes, where it has been romping around for the past month. The rover is now headed south, driving up to the base of the final butte as it exits the area and makes its way higher up the mountain.